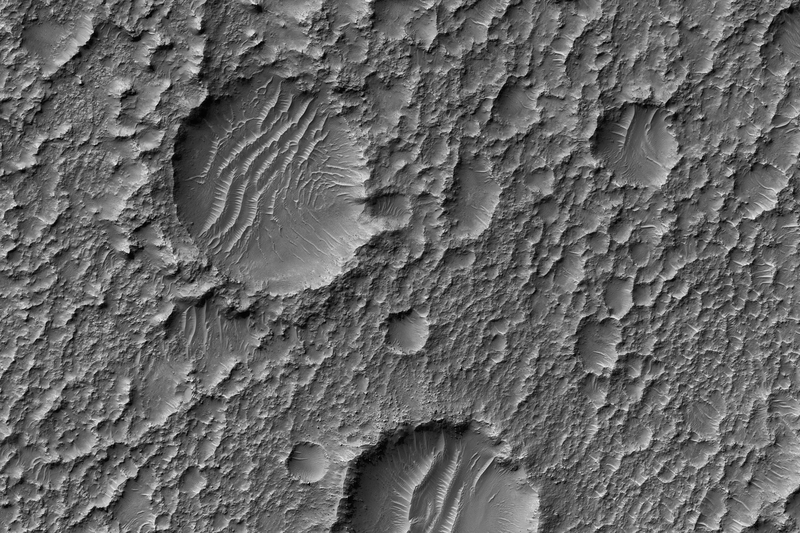 Mars has captured the imagination of astronomers for thousands of years, but it wasn’t until the last half a century that we were able to capture images of its surface in detail. This particular site on Mars was first imaged in 1965 by the Mariner 4 spacecraft during the first successful fly-by mission to Mars. From an altitude of around 10,000 kilometers, this image (the ninth frame taken) achieved a resolution of approximately 1.25 kilometers per pixel. Since then, this location has been observed by six other visible cameras producing images with varying resolutions and sizes. 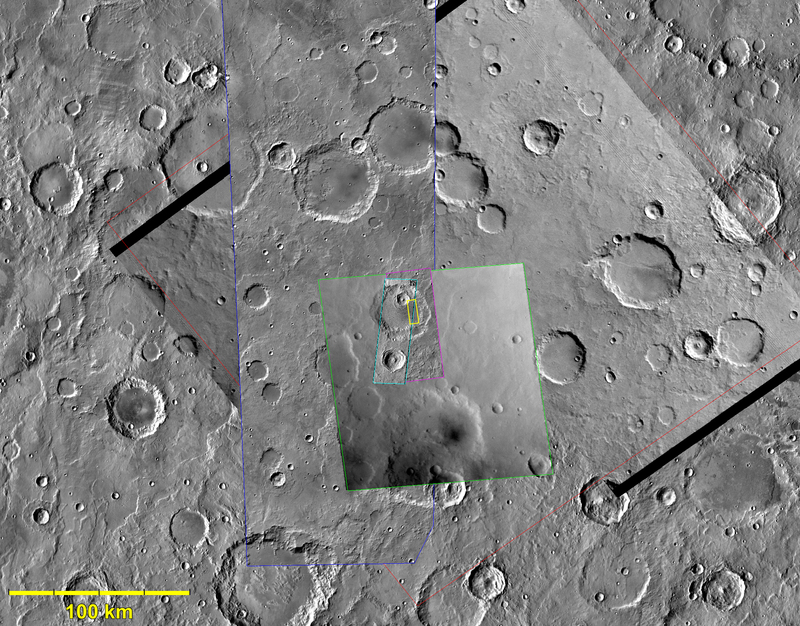 This includes HiRISE (highlighted in yellow), which is the highest-resolution and has the smallest “footprint.” This compilation, spanning Mariner 4 to HiRISE, shows each image at full-resolution. 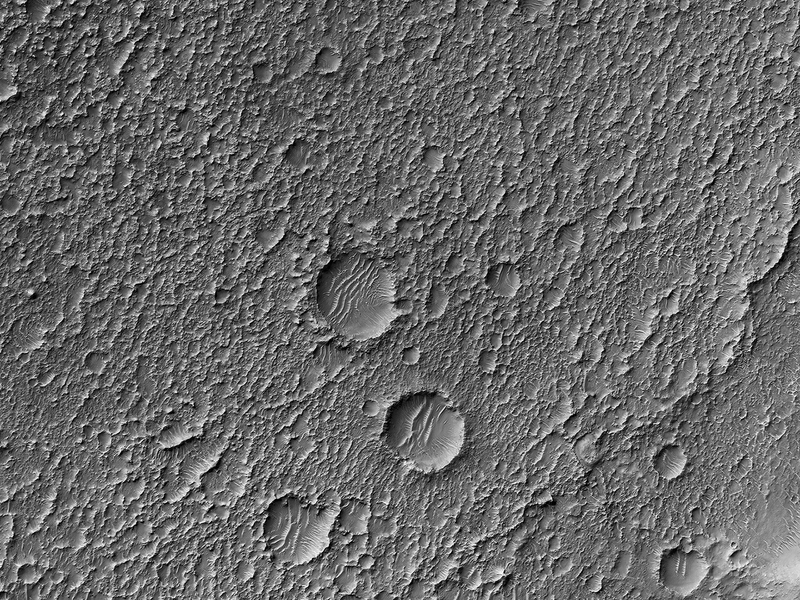 Beginning with Viking 1 and ending with our HiRISE image, this animation documents the historic imaging of a particular site on another world. In 1976, the Viking 1 orbiter began imaging Mars in unprecedented detail, and by 1980 had successfully mosaicked the planet at approximately 230 meters per pixel. In 1999, the Mars Orbiter Camera onboard the Mars Global Surveyor (1996) also imaged this site with its Wide Angle lens, at around 236 meters per pixel. This was followed by the Thermal Emission Imaging System on Mars Odyssey (2001), which also provided a visible camera producing the image we see here at 17 meters per pixel. Later in 2012, the High-Resolution Stereo Camera on the Mars Express orbiter (2003) captured this image of the surface at 25 meters per pixel. 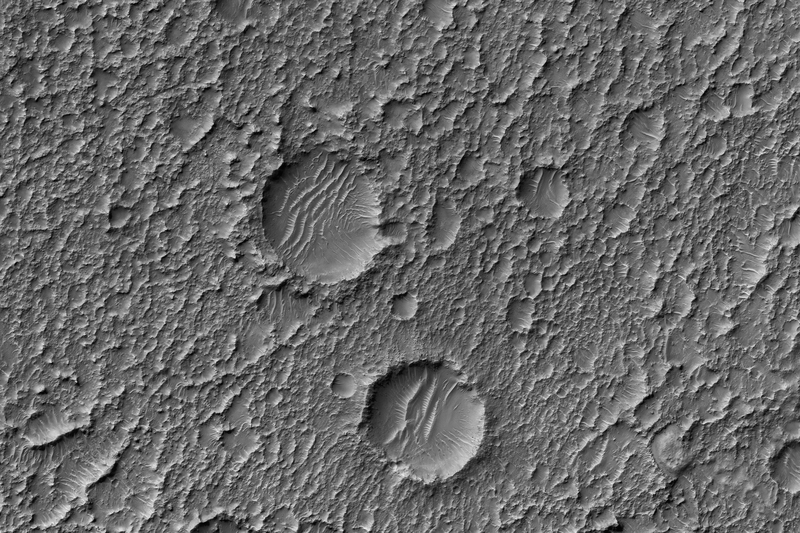 In 2010, the Context Camera on the Mars Reconnaissance Orbiter (2005) imaged this site at about 5 meters per pixel. 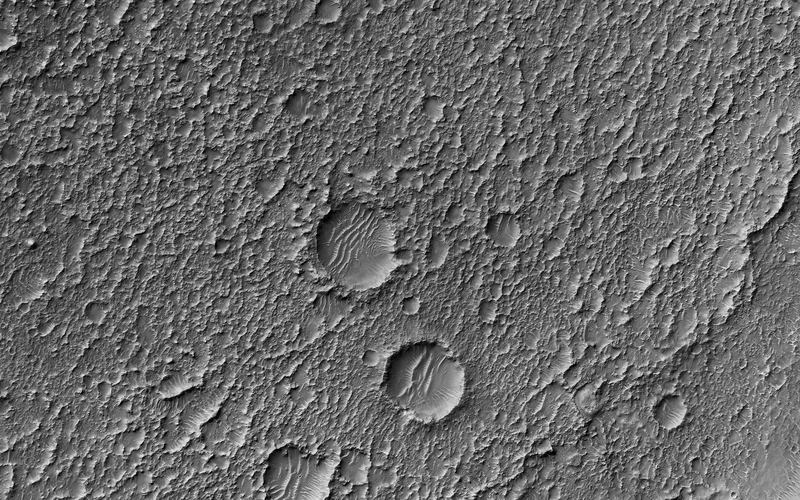 Finally, in 2017, HiRISE acquired the highest resolution image of this location to date at 50 centimeters per pixel. When seen at this unprecedented scale, we can discern a crater floor strewn with small rocky deposits, boulders several meters across, and wind-blown deposits in the floors of small craters and depressions. This compilation of Mars images spanning over 50 years gives us a visual appreciation of the evolution of orbital Mars imaging over a single site.